How am I supposed to get any riding done"? Thus begins the opening chorus of Self Portrait. Released in 1970, Dylan like many of his peers that year, looked to the past for inspiration. The Beatles made a slipshod attempt in their ill fated Let It Be project. The Rolling Stones stepped up their game with an amazing run of blues based rock albums culminating with Exile on Main Street in 1972. Whatever possessed Dylan to release a double album of folk and country covers, live cuts, and instrumentals remains something of a mystery. Was it in response to all the bootleg records released without his permission? An attempt to sabotage the legend built around him over the years? 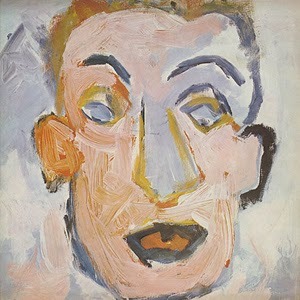 There are many reasons to dust off Self Portrait, one is hear some of Dylan's best vocals. You'll find a great performance on "Days of 49", an account of the gold rush. Dylan plays an old prospector reminiscing about "the days of old, in the days of gold." My personal favorites are "Copper Kettle" and "Wigwam." "Copper Kettle" tells the story of a clan of moonshiners who are proud of defying the government, "we ain't paid no whisky tax since 1792." The syrupy production works for me. "Wigwam" would make a great opening title theme for an apocalyptic Sc-Fi/Western epic set in the 22nd century. Imagine a camera panning over a desolate landscape. Other curiosities include excerpts from the Isle of Wight Festival held on August 31, 1969, a few weeks after Woodstock. Dylan joined The Band for a 50 minute set. If anything, you get a hillbilly version of "Like a Rolling Stone." The fragmentary structure of Self Portrait makes it an oddity in Dylan's canon since there's no commonality of theme, just a collection of songs he enjoyed singing. Many are worth listening to, some are forgettable. So, just chill and enjoy. * That's what Rolling Stone thought of it back then.